Sanghavi group of companies got incepted in the year 1983 by Mr. S.C.Jain and my father Mr. Prithviraj Sankalchand Sanghavi and Science then has completed more than 52 projects in Mumbai, Mumbai Suburbs, Nashik, lonavala. Our company is the leading company known for providing Building Construction to the clients. This service is provided with objective of construction and superior homes that are completed with special care taken on minute details of finishing. We have professionals who are associated with us a team of architects, designers and other skilled professionals. Our company achieved great heights of success under the profound leadership of our esteemed mentor Mr. Prakash Jain his vision is to provide technically sound solutions and create additional value in mutual interest with our customers resulting in being a preferred company by the clients. 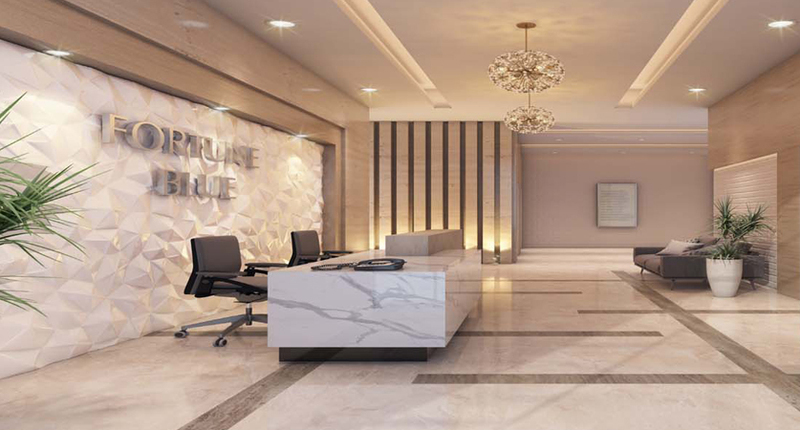 Fortune Blue is the latest venture of Sanghvi Group at Ghodbunder Thane. It is one of the most luxurious residential plans by Sanghvi Group. We provide all the top class amenities to our clients in this project. 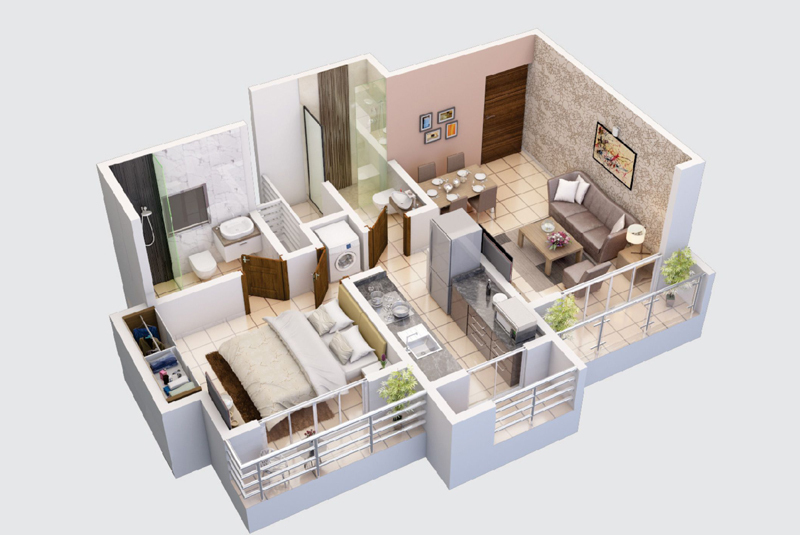 We have both 1BHK and 2BHK schemes for our clients. The stunning architecture of the premise will definitely mesmerize you. We have added various features as the highlight of the project like a terrace garden, water purifier in kitchen, air conditioner in living and bedrooms, and much more. We are a team of professionals who have carved their experience and creativity in this project. We provide superior homes with the topmost facilities to our client. The security of residents is also taken care of. We have placed CCTV cameras at every common area of the scheme. Also, there will be a proper security service provided by us. You will definitely find your dream house in our scheme. 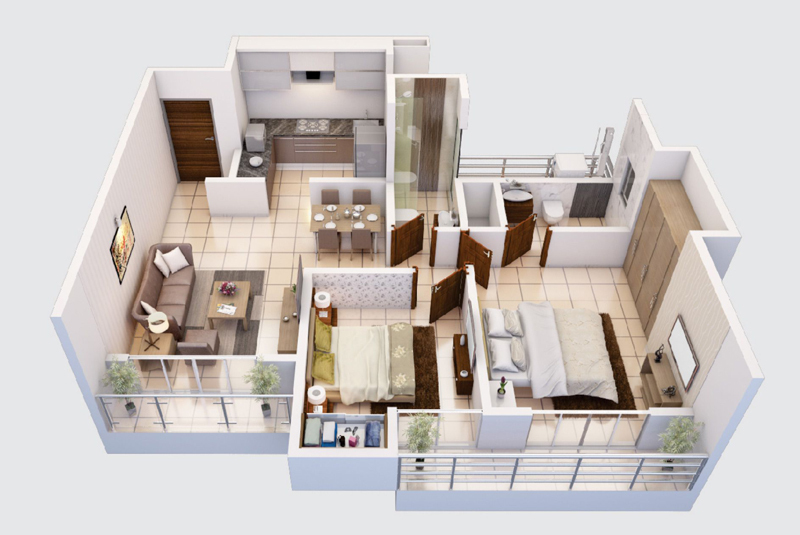 Get the 2BHK or 1BHK flats for sale in Hiranandani estate thane and make your dream come true. 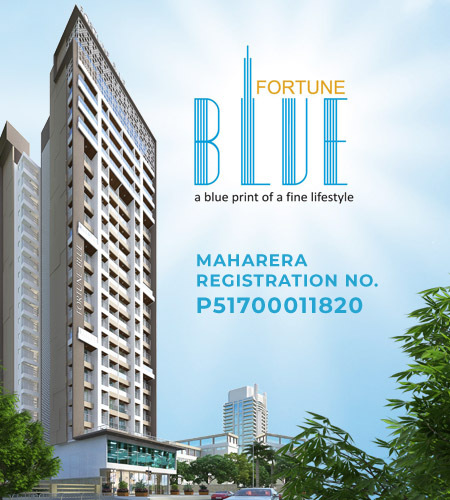 If you are looking for 2 BHK and 1 BHK flats in Ghodbunder Thane, you should definitely visit Fortune Blue once. We assure you of the best property prices and amenities at our residential scheme. Moreover, Fortune blue is located in the center of Patlipada with all the facilities available nearby.Also, you will get everyday use things within a go. Hence, it will be a smart decision to buy flats in the Patlipada Thane area to live a luxurious life. Fortune Blue is a total eco-friendly scheme. It also promotes rainwater harvesting and has a beautiful terrace garden in it. You will get a desired luxurious life you are dreaming for at Fortune Blue. It is definitely a profitable scheme for anyone. Hurry up and book your flat in such an auspicious scheme located at a very prime location in Thane. © 2019 Fortune Blue. All Rights Reserved.